Unsecured truck loads are a growing problem endangering drivers across the country. Massachusetts has seen two of these fatal car accidents in the past two months. In 2004, the AAA Foundation for Traffic Safety reported 25,000 motor vehicle accidents are caused each year by unsecured materials on highways. The problem is most prevalent in California, which had 32 million registered vehicles in 2007 – more than twice the number of any other state, according to the New York Times. The California state transportation department reported that over a two-year period between 2005 and 2007, 155 people were killed as the result of debris from unsecured truck loads. In some of these fatal trucking accidents, authorities file criminal charges against drivers and other employees. When these motor vehicle accidents result from negligence, drivers and companies may also face wrongful death lawsuits in civil court. Some states have strengthened the penalty for accidents involving tractor-trailers carrying unsecured loads such as construction equipment, building supplies, wood and furniture. Several years ago, Washington state passed Maria’s Law, named for Maria Federici, a young woman in her 20s who was blinded and disfigured when a piece of furniture flew off a trailer and smashed her windshield. Maria’s Law made hauling an unsecured load causing injury a gross misdemeanor, carrying maximum penalty of one year in jail and a $5,000 fine. In Massachusetts, a 27-year-old Lynn man died Sept. 19 when a 400-pound tire being hauled by a truck broke loose on Interstate 93 in Somerville. The truck was owned by Ryder Truck in Braintree and leased to Sullivan Tire. The tires spilled across the median and smashed the windshield of the Lynn man’s car, throwing his car toward a retaining wall. The 2005 Freightliner M2 flatbed truck was carrying tires containing a tire fill. This material made them heavier than standard tires filled with air. On Aug. 12, a backhoe fell off a National Grid truck traveling on Interstate 495 in Southborough. The backhoe struck a van, killing an elderly passenger and causing serious personal injuries to others in the vehicle. Click here to read a 2007 New York Times article about unsecured truck loads. A new pilot program shows drivers in three Massachusetts communities are failing to stop for school buses, a violation of state law and a safety concern as students prepare to head back to school. The program is underway in Medford, Quincy and Seekonk, where school buses have been equipped with video cameras behind the vehicle’s long stop-sign arm. The cameras capture the license plates of cars which violate the law and cause school bus accidents. In Medford, the cameras captured 112 motor vehicle violations in 105 days, according to The Boston Globe. Some 57 violations were recorded over 55 days in Quincy while Seekonk had 45 violations over 53 days. Under Massachusetts law, drivers cannot be issued citations based solely on video evidence. A police officer or bus driver must observe the violation and testify to it. Fines start at $250 and drivers with two or more offenses can have their license revoked. Massachusetts is one of many states that allow traffic cameras, but they are currently only used to catch toll-evading drivers on the Massachusetts Turnpike. Proposed legislation aims to prevent school bus accidents by allowing cities and towns to submit video footage as evidence. State law requires drivers to stay at least 100 feet behind a school bus at all times. Drive slowly and watch for children walking in the street, especially in areas with no sidewalks. Watch for children playing at bus stops. Yellow flashing lights signal the bus is slowing down to stop. Red flashing lights and an extended arm indicate the bus is stopped to let children on or off. Do not start driving again until the stop arm folds back up and the bus starts moving. Do not attempt to pass a school bus. Watch for children when backing out of your driveway. If you see children, ask them to move to the sidewalk until you drive away. Click here for the state law on driving near school buses in Massachusetts. Click here for The Boston Globe article about the new pilot program. Tagged: "Massachusetts motor vehicle accident lawyers" and "school bus accidents"
Summer is here and many teenagers who have licenses want to get behind the wheel and drive around with friends. But we all must remember safety first and to help them take precautions. Motor vehicle crashes are the leading cause of death for teens in Massachusetts and across the country. In 2009, eight teenagers ages 16 to 19 died each day from motor vehicle injuries. When teenagers survive accidents, they may be left to cope with painful injuries that require years of recovery. And others are likely to be seriously injured as well. The majority of teen car accidents happen within the first year a teen holds a license. The risk increases when teens drive with their friends or when they drive at night. While many associate drowsy driving with truck drivers, teen drivers are also likely to drive with sleep deprivation, increasing the likelihood of car accidents. 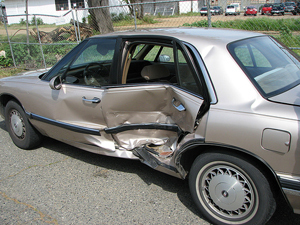 Many auto accidents result from driver inexperience. Because of this, teen drivers should stay on familiar roads for a few years. For example, it is probably too much for teenagers to attempt to drive from Worcester to Boston, Cambridge or Quincy during rush hour alone in their first year. Work up to distance. But talk to them about shopping plaza and fast food parking lots. These are frequent stops for teenagers. But parents can help teenagers by visiting stores with them, suggesting safe areas to park and talking to them about the busy hours. By waiting an hour, teens can drive into safer conditions. Teen driving accidents can also result from recklessness, immaturity, ignoring safety laws, driving drunk and driving while distracted. Distracted driving behavior includes driving to loud music, being overly involved in conversations with friends, eating and drinking, talking on a cell phone and texting while driving. The reckless behavior includes drag racing and car surfing on the exterior of a motor vehicle. This thrill-seeking behavior often leads to teens falling off the car and suffering head injuries and other injuries. This behavior is dangerous anytime a vehicle is moving, even at low speeds of 5 mph. Massachusetts has a graduated licensing law for teenagers. Operators must hold a driver’s permit for six months before applying for a Junior Operator’s License at 16 1/2. They graduate up to a full license at 18. For the first six months of holding a license, junior operators cannot ride with anyone under 18 in the car, except for family members. Teens are not allowed to use cell phones or drive between the hours of 12:30 a.m. to 5 a.m. They face stiff penalties if caught operating under the influence of alcohol. The state has a strong law, but parents must speak to their teens before and after they receive their license about concentrating on the road, wearing seat belts and using good judgment when driving or riding as a passenger. Because teens are out of school and looking for things to do, summer is the most important time of year to have this discussion. Tagged: "car accidents", "Massachusetts motor vehicle accident lawyers", "teen drivers" and "texting while driving"